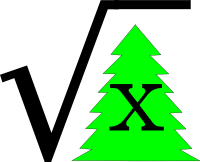 March 5th is the Square Root of Christmas. This page originally appeared at http://twopoint718.blogspot.com/2009/03/march-5-is-square-root-of-christmas.html since I’ve moved my blog, I’m also moving this page. This page (http://sencjw.com/the_square_root_of_christmas.html) should be considered canonical.